Promoting capacity building in China and in Temperate East Asia. The Temperate East Asia Regional Center (TEA-START) is located in Beijing, China and supported as a key laboratory in the Chinese Academy of Sciences. In the past few years, TEA-START’s activities have included training young researchers on ecosystem-climate interactions, organizing a workshop with NASA on earth observation of climate change in South Asia, and publishing research in academic journals. For example in 2014 TEA-START organized an International Training on Regional Ecosystem-Climate Interactions to enhance the capacity of young researchers and practitioners to analyze and better understand climate change and its impacts on ecosystems. Sixteen young scholars from 14 countries in Asia and 10 participants from China, all coming from a diverse scientific and policy background, participated in the 12-day training and policy dialogue. One of the results of the project is an active network of young scholars in regional ecosystem and climate change. Most recently, TEA-START was actively involved in the development of the Digital Belt and Road (DBAR) Initiative. The DBAR was launched in Beijing in December 2016 to take advantage of Earth observation to address common issues, including climate change, food security, protection of world heritage sites, unbalanced economic and urban development, and disaster risks in the Belt and Road Region. 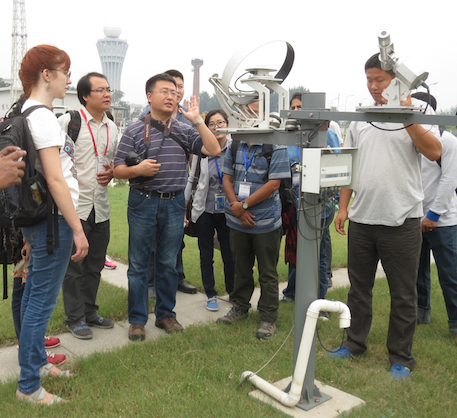 Prof. Gensuo Jia, TEA-START Director, serves as a member of the DBAR science committee and co-chair of the climate and environment working group.